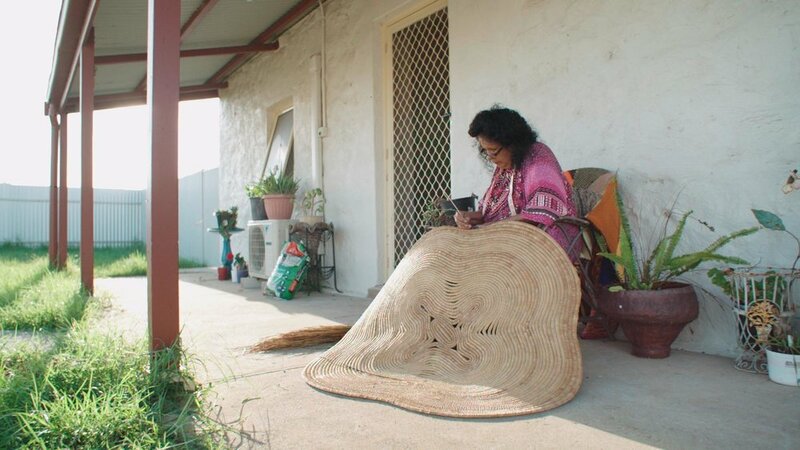 We worked with Betty over two days, at her studio in Raukkan in the Coorong and visiting galleries and commissions of her work in Goolwa and Victor Harbor. Betty works across a range of art forms. Her beautiful old cottage is at once a silk painting workshop, a painter's studio and a weaver's retreat. We followed Betty around Goolwa and met up with Alexandrina Council arts officer Leah Grace, who showed us Betty's profile in the Goolwa Regional Arts Centre and a new commission at the Fleurieu Aquatic Centre.